Enyimba FC striker, Peter Onyekachi believes his team has what it takes to win both the CAF Champions League and the Nigerian Professional Football League, SoccerNet Nigeria reports. The Peoples Elephant, were drawn in Group B of the CAF Champions League against two North Africa oppositions: Zamalek of Egypt and ES Setif of Algeria. They will take on Zamalek in the first round of the group stage games on June 18. The Aba based team are currently third on the NPFL log with 30 points from 17 games played, one point behind log toppers Wikki Tourists, the latter having played one game more. While speaking with SoccerNet Nigeria, Peter said although his team began the season slowly, their performance hasn’t been bad. He also said he’s prepared to help his team win at the continental and local level. “We have do well so far” Peter told soccernet.com.ng. “At the beginning of the League we started slowly due to the continental game we were playing. It’s not easy to play both continental and local games. Considering this I’ll say we have tried a lot. The NPFL returns this Sunday after a mid-season break. 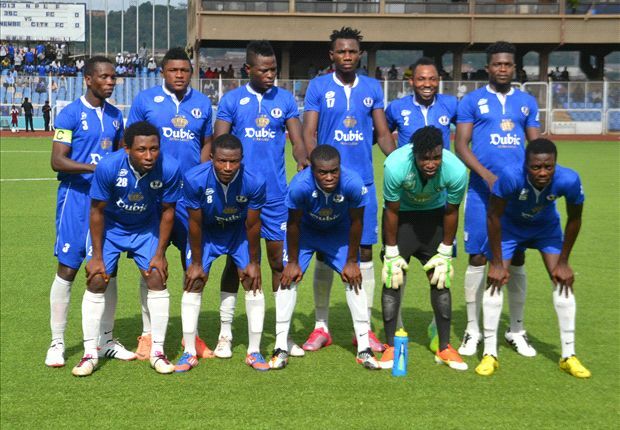 Enyimba will be travelling to face Nasarawa United at home. Last time both teams met, Enyimba won 1-0.